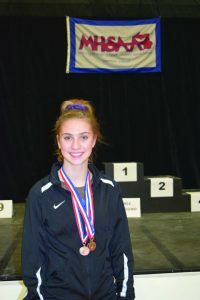 As a sophomore competitor, Ashley Faulkner brought home the 2018 Individual Uneven Bars State Championship Title last March capping off an exciting season and her first state title. 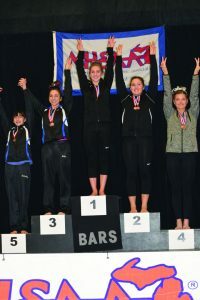 Ashley competes in all events and was runner up for the floor title. She placed 8th in all-around which is the total score for all four events including beam, bars, floor and vault. 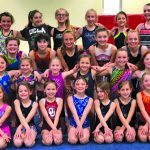 Ashley has been in gymnastics since she was 8 years old and started at Northstar Gymnastics where her mother was once a gymnastics instructor. She can be seen doing backflips, jumps and handstand poses just about anywhere and especially while traveling to locations like the mountains in Yosemite National Park and Fort Myers Beach in Florida. She started gymnastics after seeing her older sister, Allyson, compete on the Northstar Excel Competitive Team. Ashley competed on the Northstar Excel Team for 4 years before turning her sights to high school gymnastics. 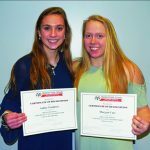 Ashley and Allyson both competed for RHS Gymnastics during the 2017 season where the team became 3Peat State Champions (2014-2017). Her favorite event is floor and she is one of only a few gymnastics in the league who executes a double full on the floor. She overcame a Lizfranc sprain in her foot during her freshman year which could have been career ending. Ashley has also been on the track team participating in hurdles and field events since the seventh grade. Participating in sports is a priority for Ashley. 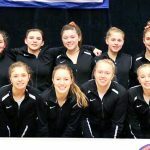 When asked why she participates, Ashley said, ”Sports allow you to push yourself to become better than you thought you could be and I really enjoy that aspect.” She is excited about the upcoming season and seeing the whole gymnastics team come together. 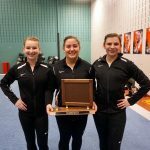 The RHS Gymnastics Team hosts the season opener, Flip Flop Invitational on Saturday, January 5..
Rockford Varsity Gymnasts place third in State! Rockford Varsity Gymnastics Team: Conference Champions!